Europe’s transition from a continent marred by severe economic downturn to a flourishing tourist hotspot (which it already was) is no mean feat. It’s true that nations like Italy and Spain are facing economic crisis, but that doesn’t deter tourists from visiting Europe. In fact, Spain is witnessing significant surge in tourist numbers, precisely a 2.9 percent rise than 2012. This month we have some of the most sought-after destinations of Europe covered extensively, shedding light on their tourism prospects and the wealth of opportunities they provide. Also, we have a special cover story for all the romantic couples out there. So, all those looking for a blissful respite, far from the hustle and bustle of city life; this month’s Travel and Tour Europe will leave you with a plethora of options to choose from. 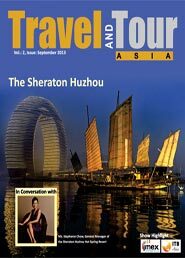 Browse through our regular sections and stay abreast on the latest happenings in the travel trade industry. Your feedback is highly solicited. 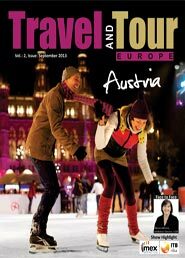 Travel and Tour World is an all-inclusive and far-reaching B2B travel magazine. 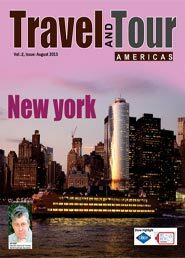 Our Magazine promotes more than 80 travel trade shows in which, the magazine is distributed free of cost to the decision makers and buyers of the global travel industry. TTW keeps one abreast with the avant-garde trends, latest technological boons of the industry, happening MICE destinations and the awe-inspiring locations. Also get an insight into the Highlights and Reviews of all the International trade fairs from around the globe. Along with the I-pad and Android accessibility, delve into Travel and Tour World in a unique flip-book format, which is freely downloadable and readable online. Download instantly and read all the Sep 2013 issues. Any feedback is highly solicited. 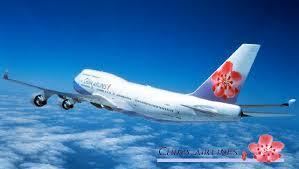 China Airlines Group and China Southern Airlines have expanded their codeshare service between Taoyuan and Urumqi to six weekly flights. Gulf AirGulf Air, the national carrier of the Kingdom of Bahrain, has launched a special promotion for its passengers travelling from Bangkok to popular destinations across the airline’s network in the Middle East, North Africa and Europe. Singapore Airlines (SIA) launches a new brand campaign today named “The Lengths We Go To”, showcasing the Airline’s unwavering commitment to putting the customer at the heart of everything it does, in all classes of travel. We are delighted to announce that Malaysia Airport Holdings Berhad and Mitsui Fudosan Co., Ltd. have entered into a joint venture agreement and formed a joint venture company called MFMA Development Sdn. Gran Canaria Airport service starts tomorrow Thursday, August 29, the new configuration of security controls, to be located in the central area of the departures terminal building, changing the location of existing in the area Community.